Stay Calm Cupcake on the News! | Stay Calm, Have A Cupcake! How are you? Lately, life has been passing at the speed of light. I have been busier than ever and honestly loving every second of it! For those of you who follow me on Facebook and Twitter, you know that my cupcake truck is FINALLY finished and that we have been out and about doing events for the past couple of weeks. It’s been a lot of learning, a lot of adjusting, and more baking than I ever imagined. I wouldn’t have it any other way though! My local customers have been amazing and all of your support has really meant so much! 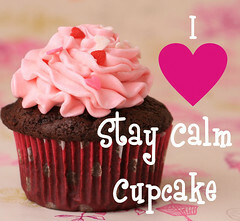 Food Truck Thursday: Stay Calm Cupcake. I’ll be posting again this week to update you on some other fun stuff that has been going on, including a recipe for a Banana’s Foster Cupcake Recipes!! Have a great day – Stay Sweet!